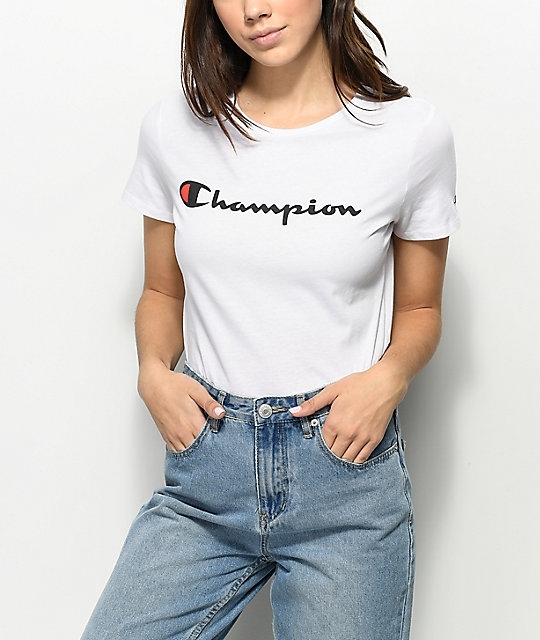 Clean cut with an athletic personality, Champion offers your daily looks their Script White T-Shirt. Designed with the brand's signature cursive logo script across the chest while sporting a subtle "C" emblem upon the left sleeve. Fashionably minimal and perfect for tying your athleisure wear outfits together.